Great news! Kunena Mobile Joomla! extension now also supports Kunena 2.0! The Kunena team announced today that they have finally officially released the long-awaited 2.0 version which has been over two years in the making. In this version the Kunena team has fixed many issues, added new functionality, and basically reworked the whole structure of the component. Kunena is now more robust than ever before. Kunena Mobile Joomla! extension has been designed and developed in cooperation with the Kunena core team, and your each purchase will support their development. The extension comes with a full year of priority support, documentation, and continuous improvement. It runs great on iPhone, Android, and lots of others - all HTML5 and CSS3 powered by JQuery Mobile and our Elegance Mobile Joomla! template. If you have purchased the extension already, you will find the Elegance 1.0.4 package with support for Kunena 2.0 in the downloads area. Your favorite way to mobilize Joomla! has just got better: Mobile Joomla! 1.1 is now available to download! We've fixed various issues and made the installation package three times smaller than before. The biggest change you will notice with Mobile Joomla! 1.1 is the device detection mechanism selection during installation and upgrade process. As you may know, we have been using open source TeraWURFL database to identify devices. As Mobile Joomla! itself, TerWURFL evolved in time into DB API by Scientia Mobile and licensed under AGPL license. Since Mobile Joomla! is licensed under GPLv2, we wanted to make this as clear as possible for the convenience. DB API solution comes without any extra cost, courtesy of Scientia mobile. If you decide to use AGPL licensed Scientia Mobile DB API, you will need to read and agree wit the license terms to proceed. If AGPL licensing does not suit your needs or you do not wish to use DB API for another reason, you just can skip this option and our own device detection mechanism will be used by default. If you have any questions or comments on this issue, please let us know here. The summer is getting hotter in the north and we're going crazy! Now you've got a chance to save big by acting quickly before heading off to beach. Use the code MJMIDSUMMERMDS at checkout to get -40% off of ALL Mobile Joomla! products for today Wednesday June 20th and Thursday 21st! The same code will give you -30% for Friday 22nd and Saturday 23rd, and -15% for Sunday 24th and Monday 25th. Seize the opportunity - the faster you are the more you save! At J and Beyond this weekend, thank you! We are participating in J and Beyond (or "JaB"), the biggest international Joomla! event taking place this weekend (!) in Germany. There are 6 keynotes and 75 sessions hosted by over 70 speakers. The event will also host the Joomla Open Source Creative and Artistic Recognition awards (J.O.S.C.A.R. ), to recognize the very best talent in the Joomla community. With your support, Mobile Joomla! has been nominated in the Free Joomla Add-ons category!! The participants of the conference have now chance to vote for the winners. We're humbled and very happy to be among nominees, no matter of the outcome. Thank you all our supporters! To share the excitement and to thank you for the support, you can get -15% off of all Mobile Joomla! products - JComments and Kunena Mobile Joomla extensions and Elegance Mobile Joomla template - with the code MJJABGPEX15 at checkout! It's valid until May 22. Please share the love! Finally, even if you couldn't make it to the event, did you know that you can watch the J and Beyond livestream? You can keep on the pulse also by following the Twitter hashtag #jab12. JComments Mobile Joomla! Extension is Released! Wham!! Just like that, Mobile Joomla! Extensions Directory now has a new member. We are extremely happy to announce that JComments Mobile Joomla! Extension is now available! Free your community from their desktops and let them keep interacting on the go - this premium extension will adapt JComments for iPhone, Android, BlackBerry, and other smartphones. We are proud to offer the JComments Mobile Joomla! Extension in cooperation with the Joomlatune core team. We have overcome many obstacles and challenges in developing the extension and we are proud of the outcome. As usual, we've spent a great deal of time in designing the user interface and tailored it for the most typical mobile use cases. You can read, write, reply with quote, like, dislike, and view attachments in comments. All is HTML5 and CSS3 powered by JQuery Mobile and our Elegance Mobile Joomla! template. For more screenshots, please check out the JComments Mobile Joomla! Extension product page. The JComments mobile extension comes with a full year of priority support, documentation, and product improvement updates. JComments Mobile Joomla! Extension has been designed in cooperation with the JoomTune core team, and your each purchase will support their development. If you want to see how the extension looks like, just navigate to www.mobilejoomla.com with your mobile phone and browse to the blog! We are continuously adding more supported Mobile Joomla! extensions to our directory. If you have a favorite Joomla! extension you would like us to add, or if you are a Joomla! extension or template provider interested in getting robust mobile support in place - send us a note! Ready? 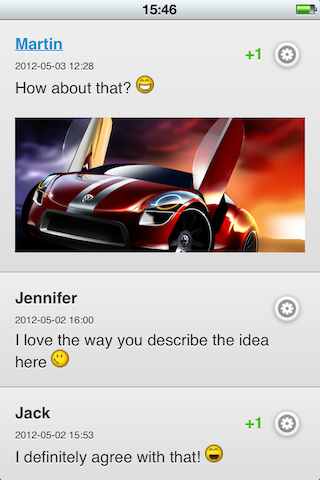 Check JComments Mobile Joomla! Extension now! Sandvikengården is a camp, youth hostel, and a canoe center located in the middle of the forest by the beautiful Värmeln lake in Sweden. 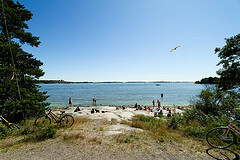 With respectable 80 years of history, they offer fantastic and luxurious environment for holiday where guests can enjoy exploring the beach, garden, and experience the beauty of Western Sweden Värmland. With 30 canoes, 2 kayaks, private bath, church, and beautiful cottages located next to the lake, Sandvikengården has been on people’s top choice for one stop holiday place in Brunskog, Sweden. They also offer various camp programs such as school, music, fall conference, confirmation camp, etc. 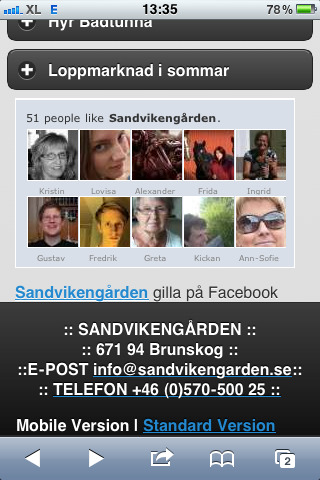 Sandvikengården’s director Martin Frykberg was among the first ones to purchase Elegance Mobile Joomla! Template, so we wanted to have a chat with him to see how his experience has been. Mobile Joomla! (MJ): Why did you want a mobile website? Martin: Based on our evaluation, we saw that the number of mobile visitors is increasing from day to day. I certainly believe that the number will keep on growing in this mobile era. Also mobile visitors, who are usually young people, are extremely potential target for our business niche. Hence, it was very important for us to build a mobile-friendly website, to make browsing more comfortable for mobile users. MJ: Why did you select Mobile Joomla! ? Martin: The primary reasons why we chose Mobile Joomla! are its simplicity, and fast and easy installation. We looked around, and we got some offers from mobile website providers, starting from several hundreds of Euros upwards. So far, we haven’t seen any of them get close to our expectations except Mobile Joomla! MJ: How has your initial Mobile Joomla! experience been? 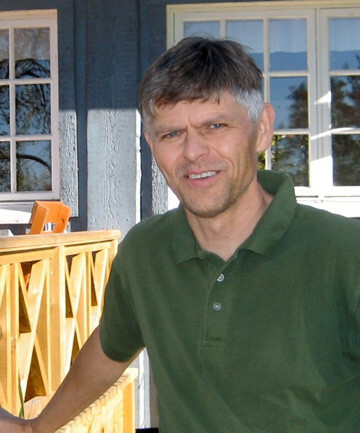 Martin: Mobile Joomla! is definitely the perfect choice for building mobile website. It’s very simple, and you can quickly start setting up the site after the installation. You can have your mobile site running in an hour or even less! Surely, we can also update, revise or customize our mobile site for better performance. Everything is at your fingertips. I have never imagined that building mobile website would be particularly easy. 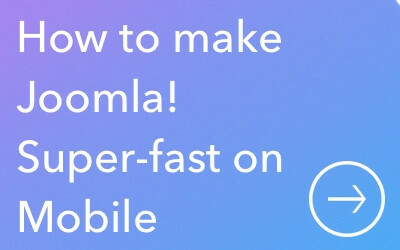 However, with Mobile Joomla!, the total time for us to develop the mobile side was just two days, during which we did fine-tuning, classified mobile website menu, placed collapsible modules, and reviewed a few other functionalities, which we do not need yet or didn’t work the way we expected. MJ: Did you encounter any problems, and have you used our customer support forums? Martin: Yeah, we had some hiccups and installation problems at the start, but all problems were quickly solved. We were really pleased with the Mobile Joomla! support - we got quickly solutions to our problems, everything was really professional and we got fast responses to the questions. I won’t hesitate to recommend Mobile Joomla! products and services to my friends, co-workers and other Joomla! users. MJ: Can you tell us why you upgraded to Elegance template? Martin: I did try the Mobile Joomla! standard template, and it worked well for us. However, we decided to upgrade to the premium Mobile Joomla! template Elegance, as we wanted to explore more sophisticated smartphone features. Especially, we like the interface and how it combines collapsible menus, the iPhone web app possibility, and the elegant style. Elegance template was definitely worth the small investment, as we intend to provide great mobile experience for our users. Indeed, travellers are very often mobile, and finding information fast while they were on the road is very important for them. A mobile website can definitely save their time, and Mobile Joomla! can make it even faster! We'd like to thank Martin for his time, support and business! If you also would like to get showcased with your Mobile Joomla! project, please send us an email at hello-at-mobilejoomla.com with subject "Mobile Joomla! Showcase"
Mobile Joomla! 1.0.3 is ready to download. 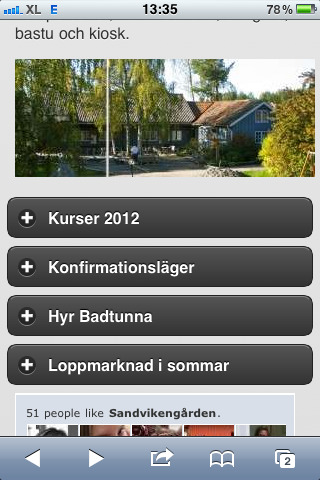 As always, you can update to the new version from your administrative panel via Mobile Joomla! Remote Update feature, or by downloading Mobile Joomla! 1.0.3 package and installing it from the back-end. Do not forget to backup your website before the upgrade! Great news! Here is your chance to win an extreme makeover for your Joomla! website! We at Mobile Joomla! have partnered up with some of the world’s top Joomla! companies to provide an opportunity of a lifetime for one lucky Joomla! user. You may know that Joomla! has entered a new age with the latest version Joomla! 2.5 launched in January this year. Consequentially it's been announced that Joomla! 1.5 and 1.7 have reached the end of their lifecycles, and only major security fixes will be done for both until release of 3.0 in September 2012. So considering a 2.5 upgrade rather soon might be a good idea. 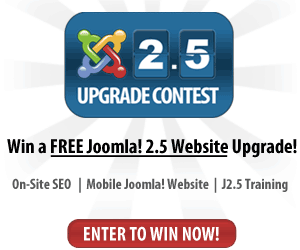 The winner of the “Joomla 2.5 Upgrade Contest” will get their Joomla! site completely rebuilt, enhanced, and SEO-optimized on the new Joomla 2.5 platform. In addition, the winner will also receive a premium mobile Joomla! website and Joomla! 2.5 training courses. Mobile Joomla! will specifically grant the winner free licenses of the JQuery Mobile based Elegance Mobile Joomla! Template, Kunena Mobile Joomla! Extension, plus our other upcoming premium products. Entering to win is free, easy, and open to anyone who has a Joomla! website - simply visit the contest website to participate! All entries must be submitted by Wednesday May 16, at 11:59PM. The winner will be announced on May 31. Savvy Panda is one of leading U.S. Joomla! Web Design firms specializing in providing premium Joomla! web solutions including websites, custom templates, extension development, developer and user support and more. Anything Digital is a Joomla! extensions add-on provider offering unique apps for SEO, site security, calendaring, event registration, content translation, on-site search and more. Mobile Joomla! offers an extension used to create a custom mobile version of your Joomla! website. They are the leading experts in mobile Joomla! websites. JoomlaBlogger is one of the web’s premier Joomla! news, tips, tutorials and how to websites. They offer free, high-quality content for Joomla! users. OS Training is the number one Joomla!, Wordpress & Drupal training programs. They offer both online and in-classroom courses for beginner, intermediate and advanced users. Kunena Mobile Joomla! Extension Now Available! Kunena Mobile Joomla! Extension - Your Chance to Win! Kunena Mobile Joomla! Extension is coming soon! Elegance Mobile Joomla! Template is here!